'Apocalypse Now' (1979/ USA) by Francis Ford Coppola: The OPENING FILM of our festival was the 3 hr 22 min long 'Redux' version of this anti-war classic. Winner of the highest honor at Cannes, the Palme d'Or, the film went on to win two Oscars - for cinematography and sound and is regarded today as one of the greatest films ever made. Watch it to know why. It is nothing short of a wonder! 'The Tin Drum' (1979/ West Germany) by Volker Schlondorff: This surrealistic black comedy, based on the novel by Nobel laureate Gunter Grass, is unforgettable! Winning the Palme d'Or with 'Apocalypse Now' it eventually also won the Best Foreign Language Oscar. The film introduced me to the work of Volker Schlondorff - a veteran director of feature, documentary and TV. At the age of 77, he is still making films. '12:08 East of Bucharest' (2006/ Romania) by Corneliu Porumboiu: This minimalistic dark comedy in the typical Romanian New Wave style was the feature debut for Porumboiu and won him the Camera d'Or at Cannes - arguable the most prestigious award for a debutant director. 'Marty' (1955/ USA) by Delbert Mann: I had never even heard of this and what a revelation this film was! It is one of the two films who have won both the Palme d'Or and Best Picture Oscar. It also went on to win Oscars for Direction (for Delbert Mann in his feature debut), Screenplay (for Paddy Chayefsky who also wrote 'Network') and Actor. The film was shot over 19 days and its box office revenue was nine times its small budget. Moving and thoroughly entertaining. 'The Scent of Green Papaya' (1993/ France-Vietnam) by Tran Anh Hung: The first film of the Vietnamese director won the Camera d'Or at Cannes and then became the first Vietnamese film to be nominated for the Best Foreign Film Oscar. It is one of the most beautiful films you will see. It will leave you with a meditative calm that will stay for very long. 'The Double Life of Veronique' (1991/ France-Poland) by Krzysztof Kieslowski: When this Kieslowski film won three awards at Cannes - Best Actress, the FIPRESCI Prize, and the Prize of the Ecumenical Jury - it brought Kieslowski to world stage. His Three Colours Trilogy and the rediscovery of Decalogue followed, making him a master in world cinema. My favourite film-maker, and it was a joy to rewatch this film after six years. 'Son of Saul' (2015/ Hungary) by Laszlo Nemes: Widely acclaimed as one of the finest films of last year, this Oscar-winner had started its journey at Cannes with four wins: the Grand Prize of the Jury, the Francois Chalais award, the FIPRESCI Prize and the Vulcain Prize for Sound Design. Very unique in its style, the film sets the wait for the next film by this Hungarian filmmaker. 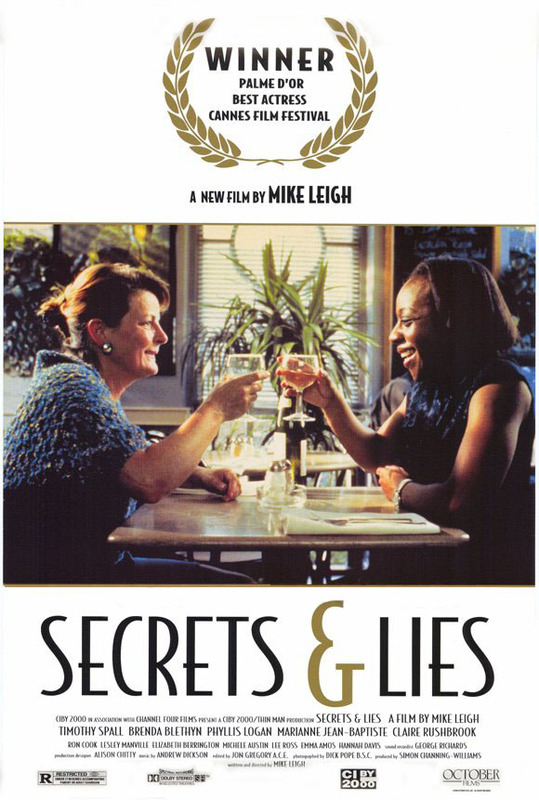 'Secrets & Lies' (1996/ UK) by Mike Leigh: This great British drama by seven-time Oscar nominee, the great Mike Leigh had won three awards at Cannes - Best Actress for Brenda Blethyn, the Prize of the Ecumenical Jury and the top honour - Palme d'Or. The film had five Oscar nominations - Best Picture, Direction, Screenplay, Actress and Supporting Actress. I may watch 100 more movies this year, but I doubt many will come close to the greatness and emotional depth of 'Secrets & Lies' - the perfect CLOSING FILM of our festival.